Tasya Kelen is doing good and spreading healthy living. It’s hard to stay on top of doing good and eating well. The deep-fried something is sure to entice you and doing good often involves time – something that slips away so easily. 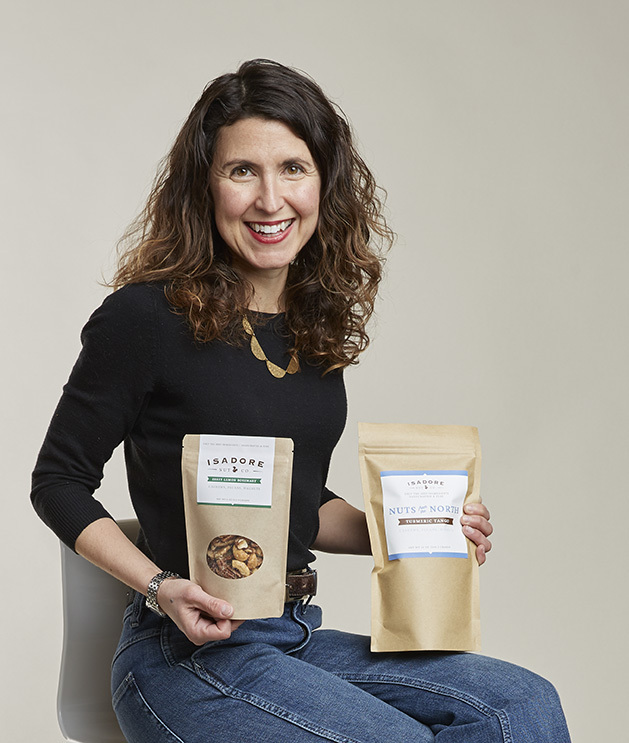 But Minneapolis resident Tasya Kelen, owner and creator of Isadore Nut Co., has found a sweet spot which started with living a healthy life. Kelen’s health consciousness started with her grandfather. Isadore Rosenfeld was focused on clean eating before the term went viral. The St. Louis, Mo. ad-man “would go to the grocery store in the ‘50s and ask for organic food, and people had no clue what he was talking about,” Kelen says. But he passed on the importance of healthy eating to his son, Kelen’s father. Naming the company after her grandfather was a natural choice, she says. The company, or the idea of the company, started about six years ago with Kelen’s trips to the weekend farmers markets. “There was just so much abundance of beautiful produce and baked goods and sweets and I felt like there wasn’t really that healthy snack,” she says. Kelen, who always loved to cook and would give spiced nuts as holiday gifts, got the idea to bring a spiced nut mix to the farmers market. “A lot of people do candied nuts and those are great, but as a parent of young children I wanted something that didn’t just taste so sweet the moment you put it in your mouth,” she says. So her nuts are sweetened with just a touch of maple syrup—not sugar. A friend told Kelen about the Morningside Holiday Market and Kelen brought a few of her nut flavors all packaged in mason jars, and soon enough word spread. 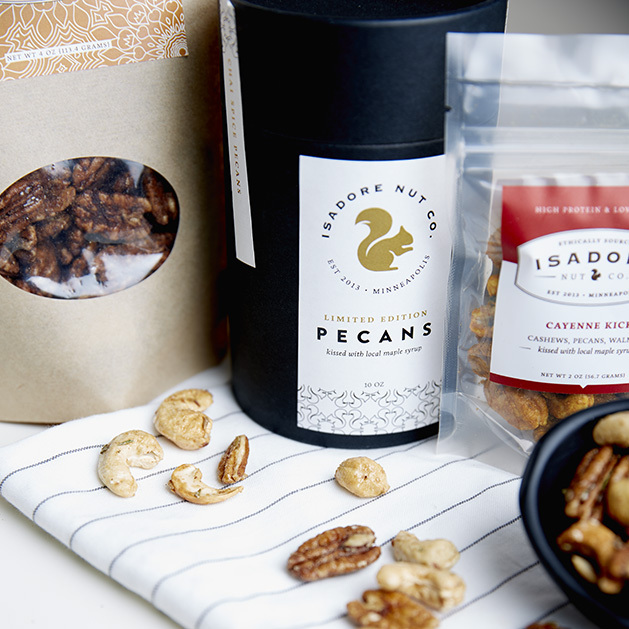 Kim Ode of the Star Tribune wrote about Kelen’s snacks for the Taste section on a Thursday, and that Saturday Kelen was selling the nuts at her friend’s pop-up boutique. The doors didn’t open until noon but people were lineup up outside to get in. “I sold out within the first hour and a half,” Kelen says. It was a whirlwind and felt great, but between the inflated nature of holiday shopping (people don’t buy a lot of gifts the rest of the year), and the fact that Kelen was no business major (packaging and shipping in glass jars is expensive, and she priced her nuts too low), the business wasn’t actually making any money. She had to switch her packaging which she was disappointed about, but she found other areas in which to get excited. But after a while, the excitement wore off and in 2018 she thought her last holiday season was approaching. Then a friend told her about the Cornerstone Creek Aparments run by Jewish Housing and Programming (J-HAP). J-HAP offers affordable independent living opportunities for adults with special needs, and this new apartment complex had a professional kitchen. “The hope was that people who did run the kitchen would see the value and benefit of employing the tenants,” Kelen says. And Kelen was one of the people who saw that value. “For me it’s like, this is what I needed to breathe life into [the company],” she says. Flavors include lemon rosemary (a best seller), cinnamon spice, cocoa kiss, cayenne kick, turmeric tango and more. “The cinnamon, turmeric tango and cayenne kick all have turmeric in there – it’s an antioxidant and anti-inflammatory,” she says. The flavors include spices that benefit your health, not to mention that because of the many layers, “you’re getting this whole taste sensation and that tells your brain to tell your stomach you only need a handful, because they’re filling,” she says. 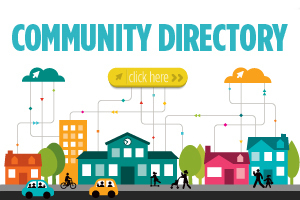 Find them online or in specialty stores in the Twin Cities, including The Wedge, France 44, and Surdyk's.